The long expanse of white wall was just boring. It needed something, but what? And then it came to me, I take thousands of photos and we’ve gone to some really cool places, what if I combined the two! After much research, I found the right company Canvas 4 Life. I purchased a canvas with the same image from various companies until I found the company that had what I wanted. Canvas 4 Life had a large selection of sizes and I was impressed with the canvas’s texture and vibrancy of color. Another bonus was the fact that I could chose my own custom color for the edges. I searched for photos of us with iconic images of places we’ve been (and some of the photos were just special to us). 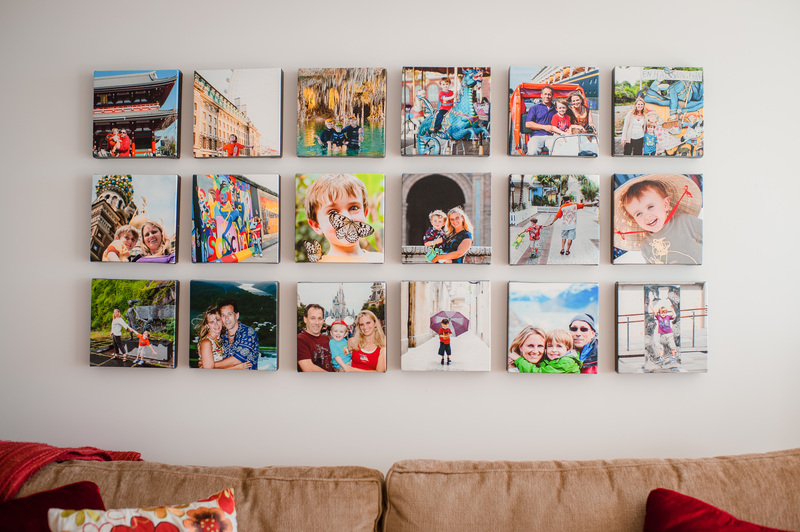 Since all the photos were from different times and places, I knew I needed to create a sense of continuity so I chose to keep them all the same size and cropped my photos accordingly and ended up purchasing eighteen 10″x10″ canvases. Once the canvases arrived, I placed them in various spots until the colors seemed to balance each other. 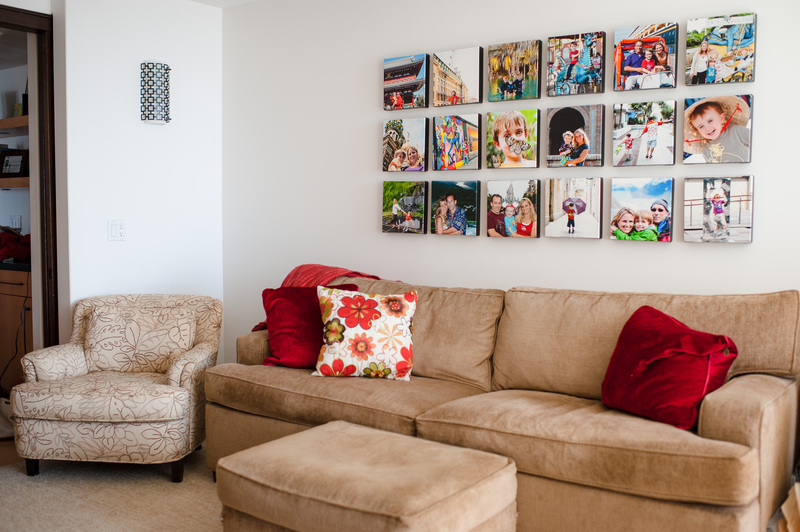 Now that blank wall of blah became our wall of fabulous, colorful memories. This entry was posted in photography, Projects, travel by mabufive. Bookmark the permalink. Fun!!! You are going to encourage me to spend money!!! Not good!! !